The new documentary “Amanda Knox” (premiering Friday) delves into the extraordinary case of the Seattle college student whose year studying abroad in Italy turned into a four-year stint in an Italian prison while she battled her conviction for the murder of her roommate, British student Meredith Kercher. While the broadest strokes of Knox’s ordeal were well-covered with insatiable global media coverage when she was arrested in 2007, the film’s interviews with Knox and her Italian boyfriend, Raffaele Sollecito; Giuliano Mignini, the leading prosecutor in Perugia; and Nick Pisa, a British journalist who gained access to exclusive information during Knox’s imprisonment, give viewers a deeper glimpse into the psychology of a 20-year-old woman who was tarred by the tabloids as “Foxy Knoxy,” and of the legal minds fixated upon her. Directors Rod Blackhurst and Brian McGinn take the familiar bare bones of Knox’s ordeal and make of it a chilling horror tale. In addition to the talking head interviews, they also obtained video of Kercher, and audio recordings by the police of Knox’s phone calls and visitations while in prison. But what is most valuable is what we were denied all along: Knox’s voice, describing in her own words how she ended up in her predicament -- how her text messages were mistranslated, her behavior disputed, her morals questioned. The scary truth is that Knox was terribly ordinary -- just a naïve girl who fell into a Kafkaesque nightmare in which, without any motive or incontrovertible evidence, she was sentenced to 26 years in jail for murder. Everything the pretty young American did or said seemed to feed a predisposition to convict. She kissed her boyfriend outside the crime scene; ergo, she was believed to be guilty. She smiled in court; therefore, she was painted as a deviant. And alibis didn’t matter -- she wasn’t even in her shared apartment the night of the murder, but that didn’t dissuade the police. It is truly frightening to hear the prosecutor Mignini speak of his rationale for bringing charges against Knox and Sollecito, even though a third individual -- an Ivory Coast immigrant and drug dealer, Rudy Guede -- had already been tried and convicted for killing Kercher. Why did the self-proclaimed fan of Arthur Conan Doyle theorize that Knox was involved? Because, he says, Kercher’s body had been covered by a blanket, and only a woman would think to do such a thing. Obvi. That is how fragile life is on this Earth; not only can it be violently taken away from you, but it can be slowly erased by a Javert who fancies himself Sherlock Holmes Jr., pipe and all. As Mignini speaks more and more about why he was (and still is) convinced of Knox’s guilt, we grow more and more terrified, especially after the physical evidence upon which the conviction was based is shown to have been completely compromised by sloppy crime scene investigators and shoddy lab technicians. The convictions of Knox and Sollecito were overturned on appeal in 2011, and they were freed. But even then, Italian prosecutors moved to have the appeal reversed, and Knox -- back home in the States -- still could not put the awful experience behind her for another four years. A happy ending was always excruciatingly distant. Now 29, Knox isn’t that naïve girl she was when she arrived in Perugia. She speaks eloquently and thoughtfully about not only her situation, but about how the world continues to see her. It was a damn hard way to grow up. 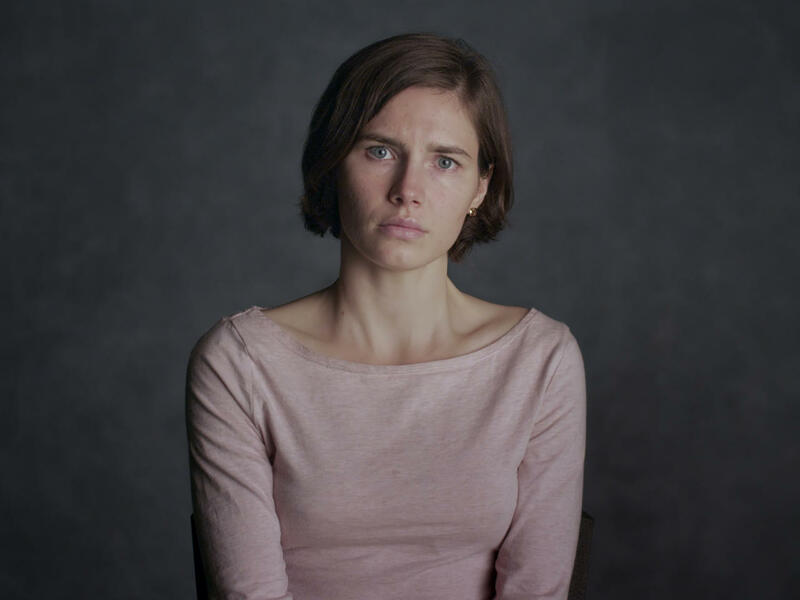 “Amanda Knox,” which premiered at the 2016 Toronto International Film Festival, opens Friday in limited theatrical release, while also becoming available on the streaming service Netflix.